Woohooo! 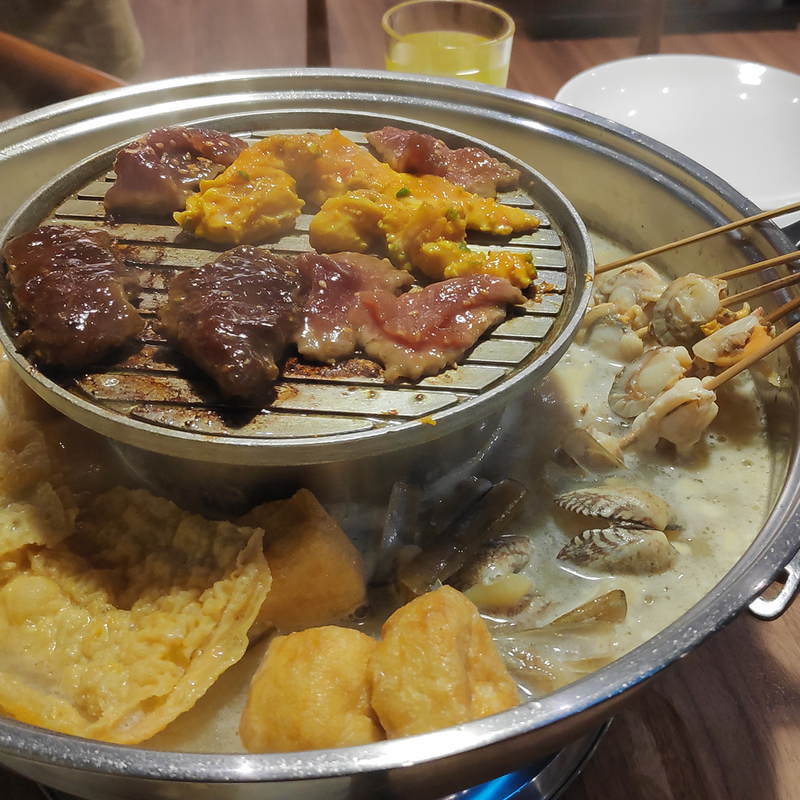 I finally got to enjoy my second long-awaited session at Pak John Steamboat & BBQ Buffet; but this time at IOI City Mall, Putrajaya. Yeap, you read that right! 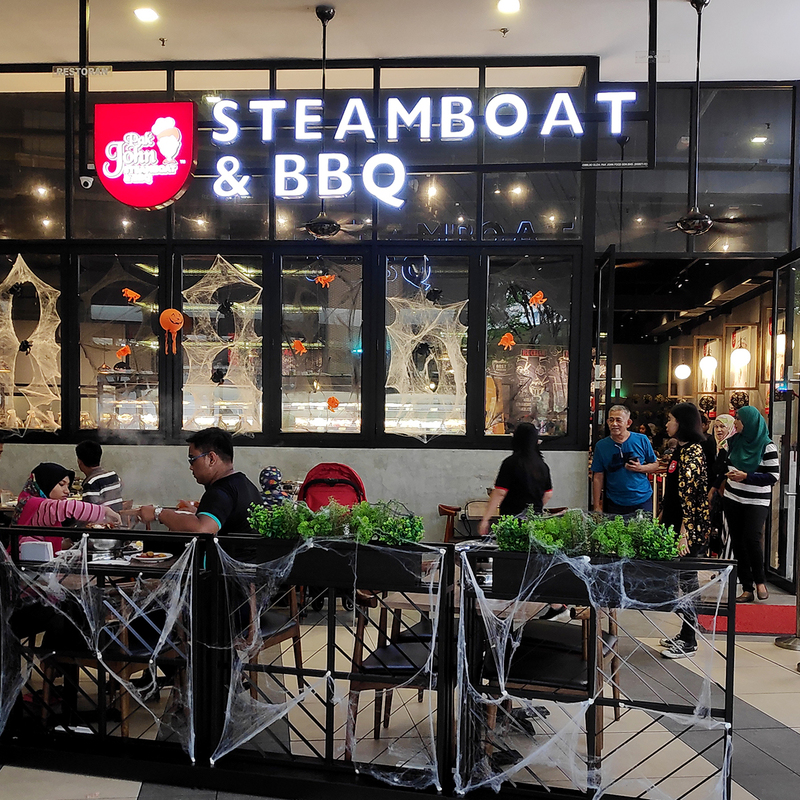 The top halal Pak John Steamboat & BBQ Buffet has opened another outlet at IOI City Mall, Putrajaya. If you are nearby the area, this is one of the highly recommended restaurants for you to go to; especially if you are planning to have a mini get-together with your close friends or even colleagues. This outlet is rather more spacious in comparison to their outlet at The Curve, Mutiara Damansara. Which means there's more space for breathing, freely walking about the area to take the endless refills, and enjoying the food with great company! 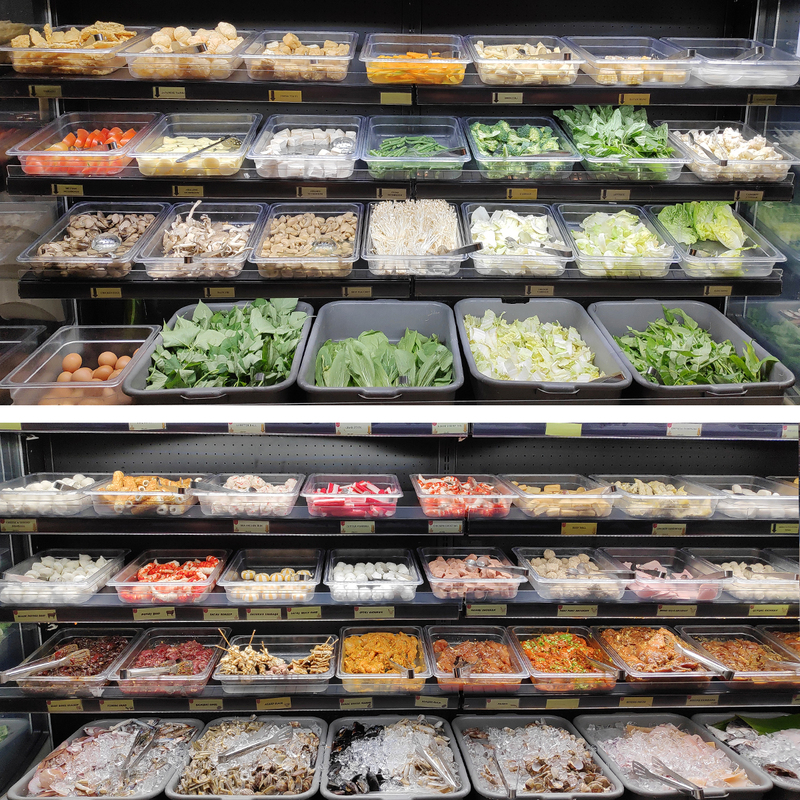 One of the reason why I prefer Pak John Steamboat & BBQ Buffet than Seoul Garden is definitely because they have more varieties of fresh and marinated meats, seafood, vegetables and soups. And a good amount of fans of this place keep coming back for more is purely because they also get to enjoy duck meat and abalone slices. Duck meats are hard to find, as not many halal restaurants serve them, and abalones are known to be an expensive dish. But guess what? 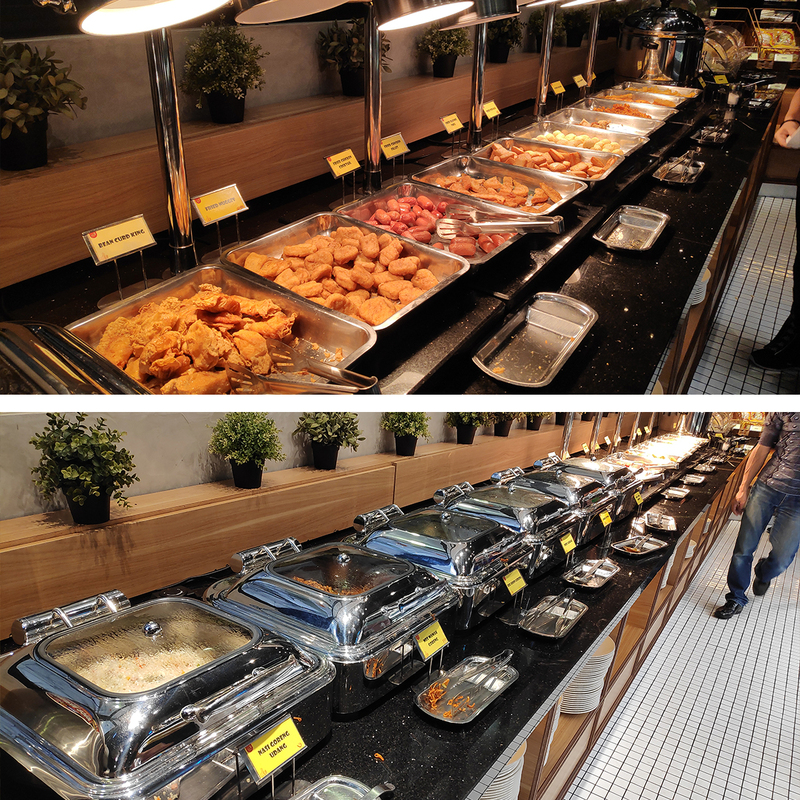 You'd get to enjoy them both in huge amounts at Pak John Steamboat & BBQ Buffet! Who can forgot to dive in for some desserts after a good steamboat and BBQ session, right? 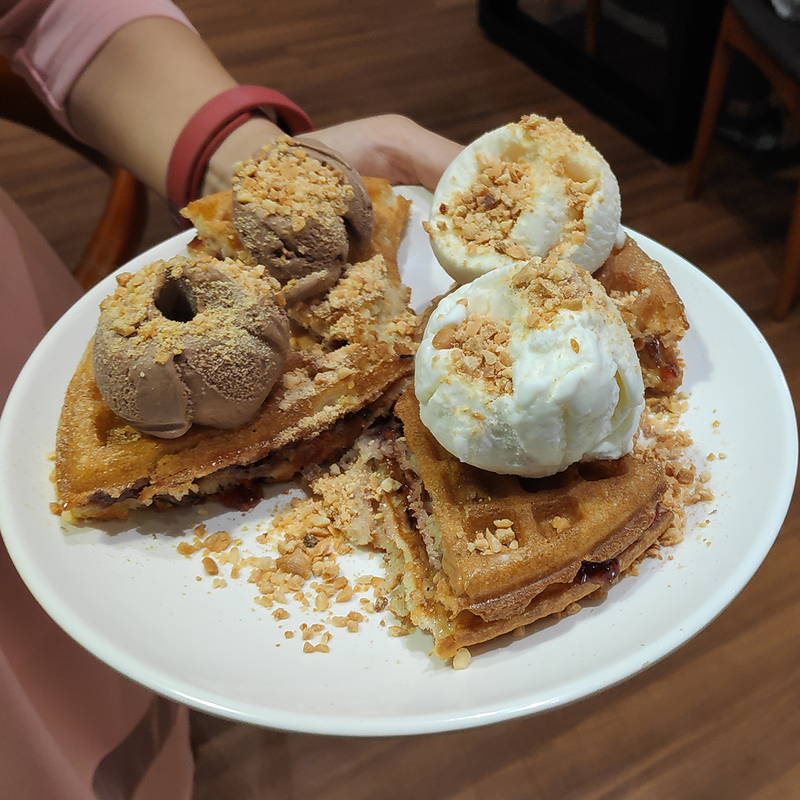 Their selection of ice creams is something you should also try out! And go ahead, be crafty and who knows you might just "Wow" your friends with your decorating skills. 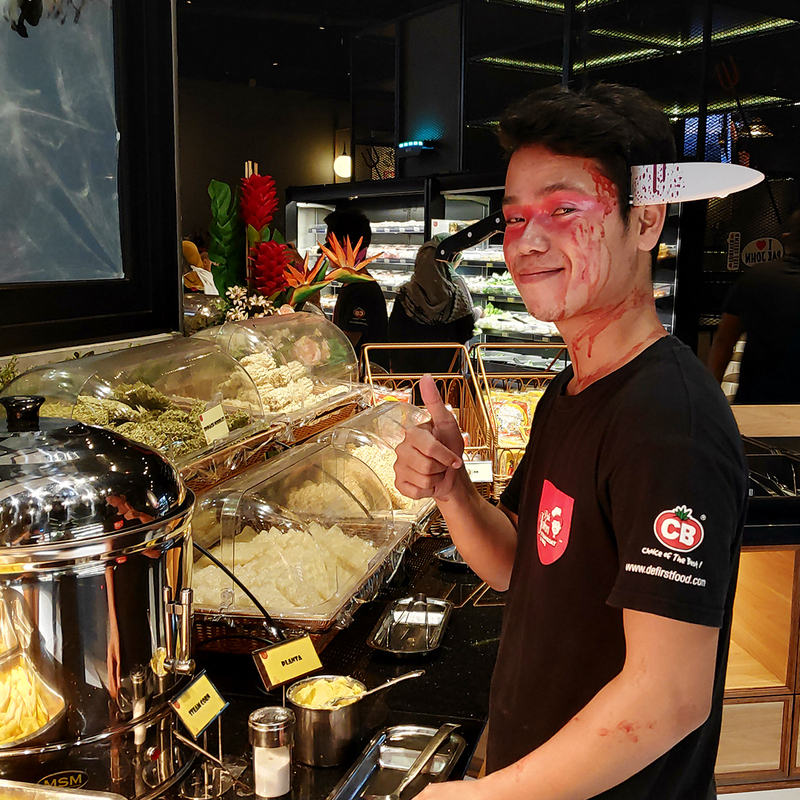 At the time of my visit, they were having their Halloween Specials; so it was pretty shocking to see their staffs dressed up covered in blood and knives protruding out of the heads. They even took some initiative in decorating the whole place up to suit the theme as well! I'm going to stand up and give them a good applause. It's a rather rare sight to see Malaysian-based companies/eateries to go all out during Halloween. So, would I recommend this steamboat and BBQ place to you? ABSOLUTELY! Oh! Just in case, it is rather wise to make a call (booking) before you head on over there, because IOI City Mall Putrajaya can get pretty jam-packed with humans over the weekends and sometimes even on the weekdays. Better to be safe than sorry, right? Hope you guys will enjoy your meal at Pak John Steamboat & BBQ Buffet as much as I did. 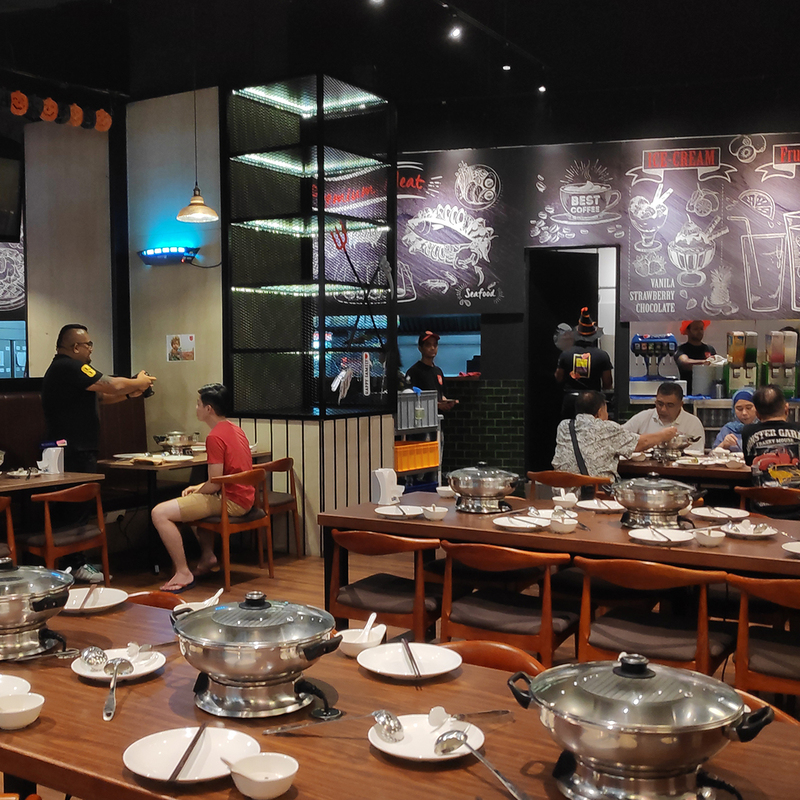 If you'd like to read about my first experience at Pak John Steamboat & BBQ Buffet The Curve Mutiara Damansara; CLICK HERE.